Successful ingredient matches rely on many factors – appearance, texture, the key tastes and the aroma compounds that form the building blocks of flavour. Learn more about how to match tomatoes with other ingredients and what beers and wines to drink with them. There are many different ways of pairing ingredients, dishes and drinks. Many combinations have a long history of success, born as they are from a shared landscape – ‘what grows together, goes together’ is a sensible and oft-repeated guide. The key tastes – salty, sweet, bitter, sour and umami – play an important role in balancing dishes and meals. Considerations of texture are important, for connoting freshness and variety. Appearance too, greatly influences our enjoyment of a meal. Yet as much as 80% of flavour in food is derived from smell, from the many chemical aroma compounds that enable us to easily distinguish one food from another. Humans can distinguish up to 10,000 of these volatile compounds, breathed in through the nose and mouth. When foods share important aromas, they are more likely to match in a recipe. This is regardless of culture, history or availability – when there are aroma compounds in common, there are interesting pairings to be made. Our guide to flavour matching tomatoes takes all these factors into account and offers advice about how to pair ingredients, flavours and aromas – and what drinks to serve. 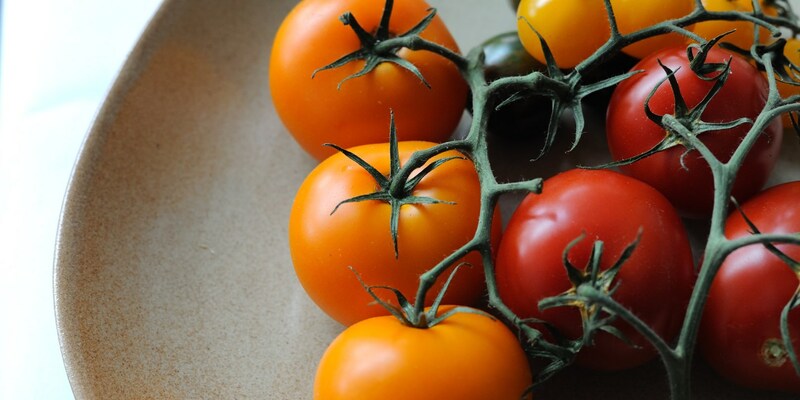 Flavour in tomatoes is dependent on several factors – the balance of sugars and acids are important, but those volatile flavour compounds are also key. Tomatoes are said to contain over 400 of these aromas, although the number actually detectable by the human olfactory system is likely to be considerably less. Although shoppers in the UK gravitate towards sweeter tomatoes, when those aromatic compounds are found in abundance, the sugar levels become less important for enjoyment of a great tomato. When matching tomato flavours consider both the type of tomato and how it is prepared. As cherry tomatoes are smaller, the flavour and sweetness are concentrated. Piccolo cherry tomatoes are one of the smallest and the most flavourful cherry tomatoes available – tasting great even out of season – so are usually the best bet when buying from a supermarket. Other types of tomato may be more acid – and will require different treatment as a result. 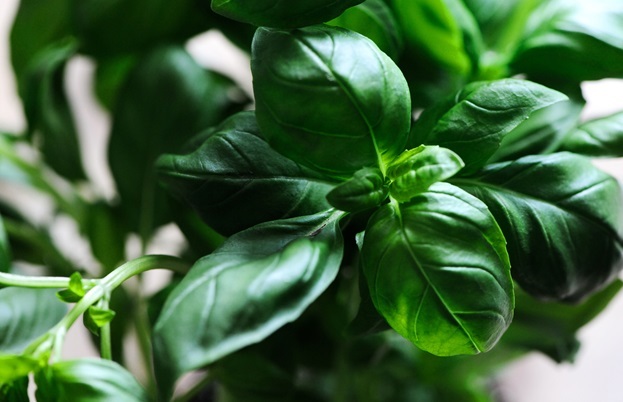 One of the most important and successful pairings for tomatoes, both cherry and classic, is basil. This is a match that comes as second nature to anyone who has enjoyed warm, ripe tomatoes and spicy, fresh basil together – they are meant to be. If you want to stray a little further than a simple salad, consider this Cherry tomato gazpacho with basil oil or this Tomato and basil press with aubergine relish and mascarpone. Fresh tomato flavour, as showcased in the Cherry tomato gazpacho, is excellent paired with a dry white or rosé. Rosé in particular, is a great match for fresh tomato. Wheat beers too, are an excellent option here – crisp and citrussy, they are excellent with the juicy tomato and aromatic herbs. 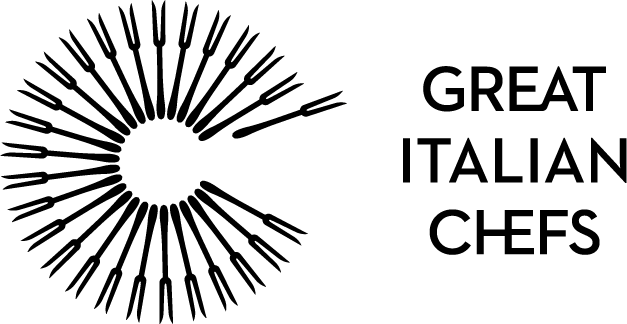 When other flavours are heavily present, such as with the Tomato and basil press (containing meaty flavours from the aubergine and creamy dairy from the mascarpone), a light red can work too – consider pairing the country of origin too and choosing an Italian bottle for this recipe. If you’re set on white, some dry bubbles will cut through the richness of the cream and stand up to the acidity of the tomatoes. 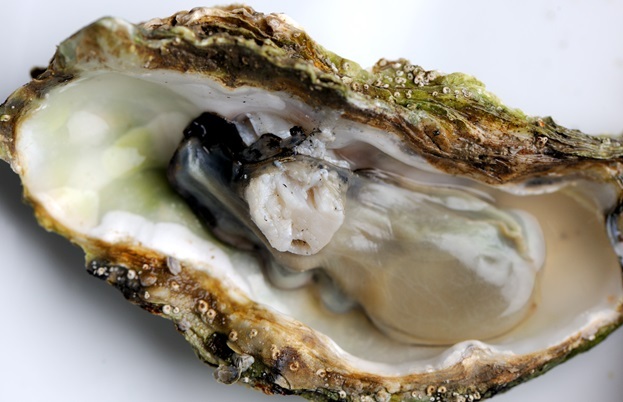 Oysters are another interesting seafood pairing, for cherry tomatoes in particular. 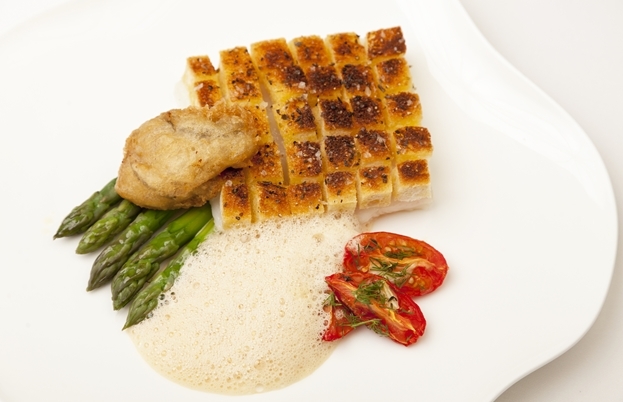 This recipe for Crusted halibut with asparagus, confit tomatoes and oyster beignet takes advantage of this pairing, or this Nage of Cornish oyster, tomatoes and cucumber makes an excellent accompaniment to sea bream. For the Crusted halibut, a crisp lager is best. Not only will it have the requisite acidity to match with the tomatoes and the fleshy halibut, the bubbles will counteract the fattiness of the oil used to cure the tomatoes and fry the beignet. The lager flavour will also echo that used in the beignet batter and work better with the vinegar in the accompanying beurre blanc. You could also try a wheat beer here – they are excellent with seafood. If only a wine will do, perhaps a very lightly oaked Chardonnay to deal with the subtle richness and work well with the fish. 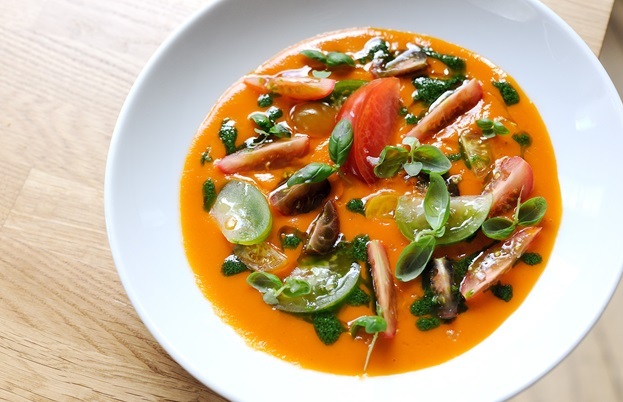 For the Nage of Cornish oyster, the tomato flavours are relatively fresh, so the pairings described for the Cherry tomato gazpacho above are also appropriate here. Gruyère is another very specific pairing for tomatoes – another that is rendered possible by the flavour compounds that the two ingredients share. 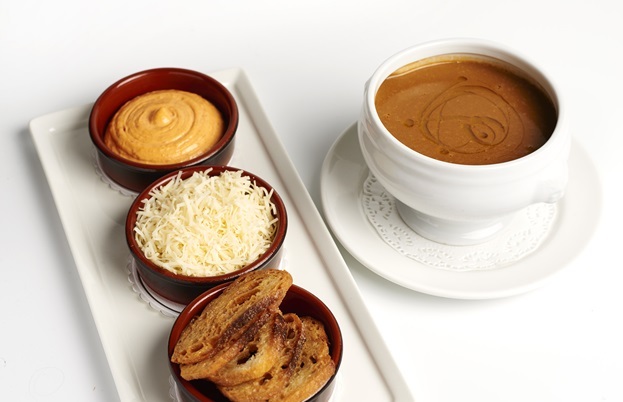 In this Soupe de poisson with tomato served with rouille and Gruyère these flavours harmonise beautifully. 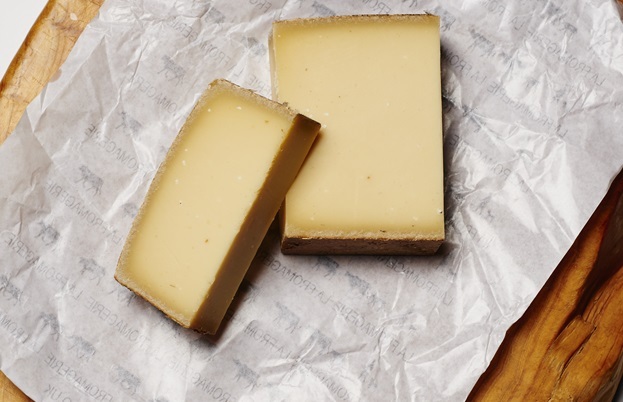 Oloroso sherry is a dark, nutty sherry, often well-aged, that is great with Gruyère. It also has remarkable acidity, making it an interesting and unusual choice for tomatoes and the oil of the rouille. An aromatic Mediterranean red or, again, a bold rosé could also work well with these flavours. These are just a few of the matches you could make. Tomatoes are also fantastic with fruit such as apricot, lychee, nectarines and peach, or berries like raspberry and strawberry. If you’d like to try an unusual herb pairing, lemon balm is a good choice. You could also look further afield for drinks. Cointreau a flavour match for tomatoes, as is a light, floral gin. Other beers to consider include golden yellow Trappist brews or a dark red Belgian cherry beer – the latter particularly with sweet cherry tomatoes. For non-alcoholic options, experiment with tea. Darjeeling shares a particularly large number of flavour compounds with tomatoes. Green tea is another possibility and is the best pairing for cherry tomatoes. So be a little more adventurous next time you’re planning a dish or a meal. There’s no need to be slavish to imagined notions of national authenticity. Flavour comes from many sources – give a couple of new ones a try.